Handy for observising and identifying macroinvertabrates. 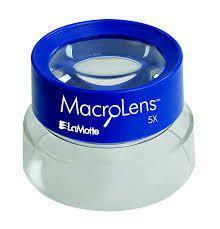 MacroLens with 4.5X magnification fits over the entire petri dish. 4" diameter. Available as single or in a convenient 10 pack.